If you read this recent post, you know I’ve been fighting a tough battle with depression for the past few months. One of the things I’ve been trying hard to do in order to start feeling better is to get out and DO THINGS. To plan fun activities that will get me out of the house, preferably with other people. Soooo I immediately said yes when Pinot’s Palette offered me the opportunity to try a painting class for free, and to bring a guest. Naturally, I brought my mom! We’ve been meaning to try a painting & wine night but hadn’t gotten around to it yet, so this was perfect. Get out of the house: check. See my mom: check. DRINK WINE: CHECK! 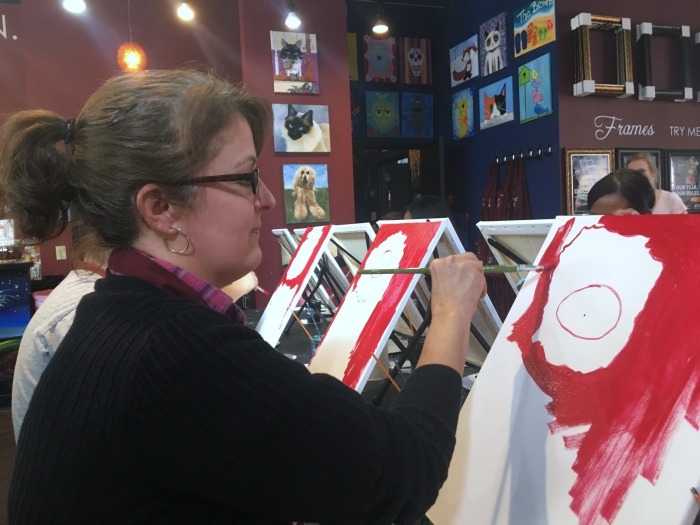 It’s easy to sign up for the class you want online — just find the Pinot’s Palette location nearest you and scroll through their calendar to pick out the painting you like the most. I tried to find one that both my mom and I would like so I settled on some red flowers. 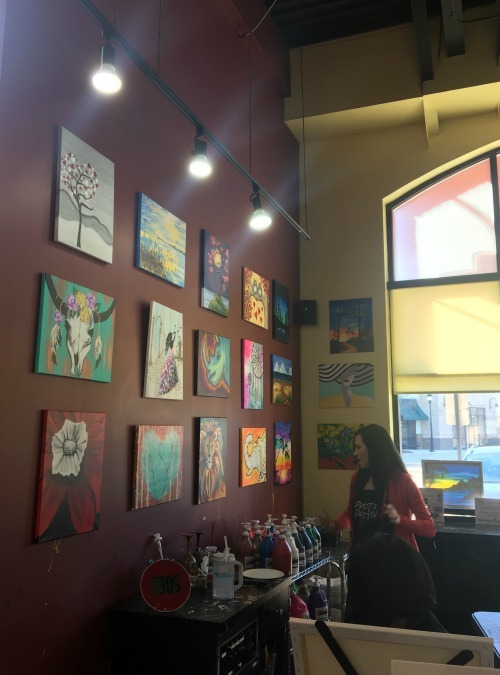 When we arrived for our painting class, I was happy to see that the vibe at Pinot’s Palette is casual, bright, and open with tons of example paintings all over the walls to inspire you. We found our assigned seats, which happened to be right in front of the already-finished reference painting. Score! 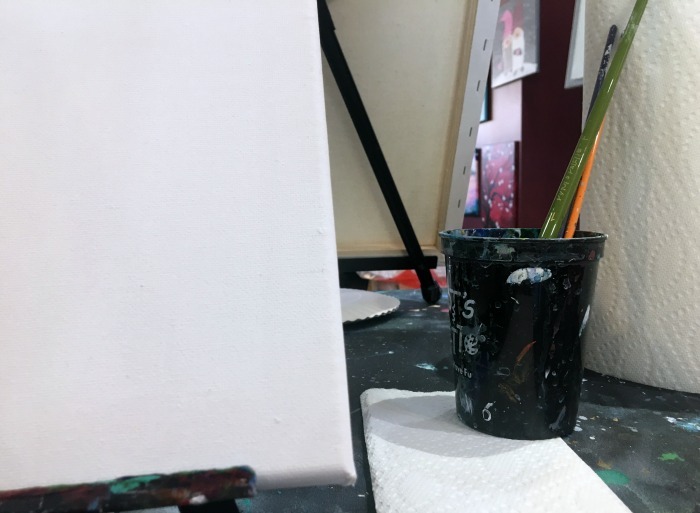 At everyone’s station is an apron to wear, a blank canvas on an easel, a cup of water, brushes, paper towels, and of course the acrylic paint. 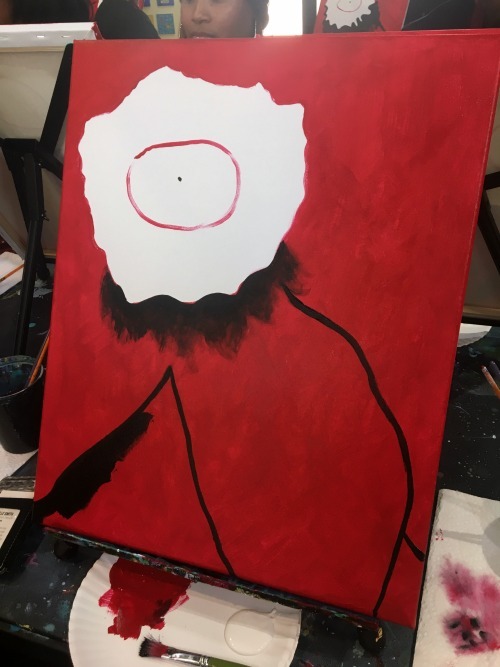 The teacher stood at the front of the classroom with a microphone and walked the class through the painting step by step while painting along with us. That way, if we were ever confused about what she meant, we could just look up and see what she was painting. You seem to have caught me in my natural habitat. And here’s a proud me with my finished work! I love how it turned out, even though at some points in the process I wasn’t sure if I would. I mean, just take a look at the step two photos up…yikes. Me and my mom both had a fantastic time together and we both said we’d love to do it again! 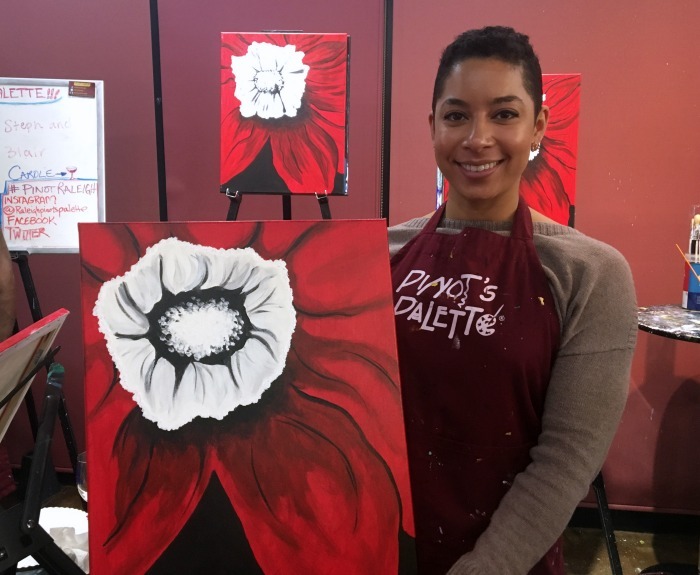 If you’re looking for something fun and new to do with friends or even as a special date night to unplug with your significant other, I highly recommend signing up for a class at a Pinot’s Palette near you! 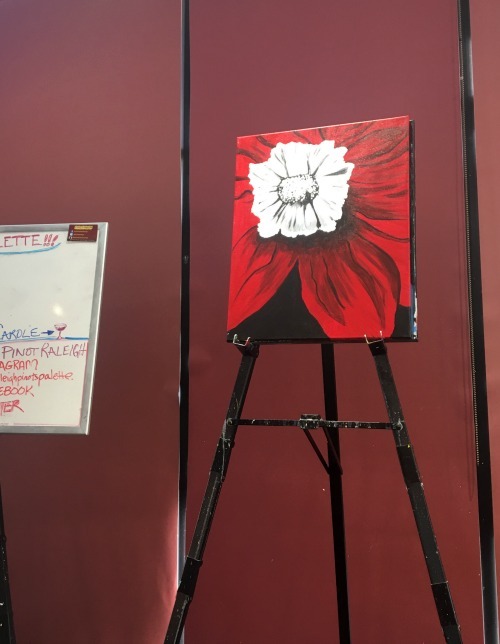 Find a location and learn more about unplugging with Pinot’s Palette on their website. I’m glad you both had a great time! 🙂 It looks like so much fun! Your artwork turned out beautiful. Well done! I love that you will always have this special art piece to remember the fun night you had together too. Sounds like fun… although I don’t really like wine, so I wonder if they have other beverage choices. Would they be offended if I brought in a bottle of tea from home? LOL. Making a painting would be fun though. Yay! 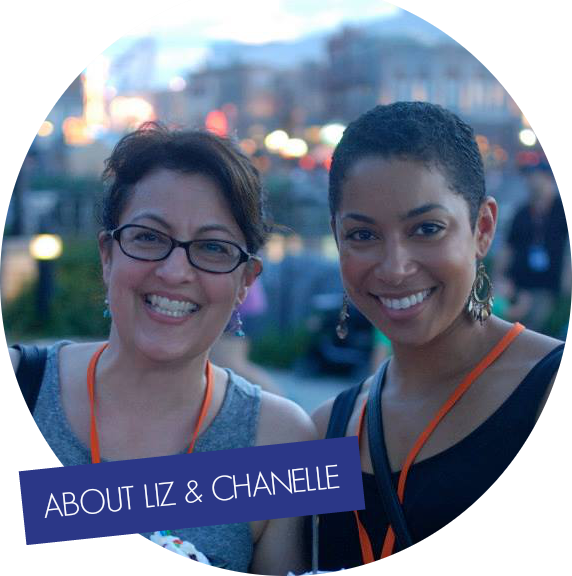 I’m so proud of other women that take charge of their mental health. It’s soooo hard. And it looks like you had a great time, too! WOOHOO! This looks like so much fun! I have yet to do one of these, but I’d love to. I love paint night places like these. Perfect for all kinds of ocassions. We have one here locally that even has kids days. Your painting looks amazing! I’ve always wanted to try a place like this. Looks so fun and relaxing! Painting is sooooo much fun. It’s a great way to get your mind off of things and relax! I love that you did this with your mom! What a great end picture ! I am not artistic at all, but would enjoy the time out and the ability to create ! Painting is so much fun. It’s a great way to get your mind off of things. I’ve dealt with depression almost all of my life and it’s not easy. Stay strong and try to keep positive! Wow! You did a beautiful job. I love that painting. I find art to be healing. I hope you did, as well. 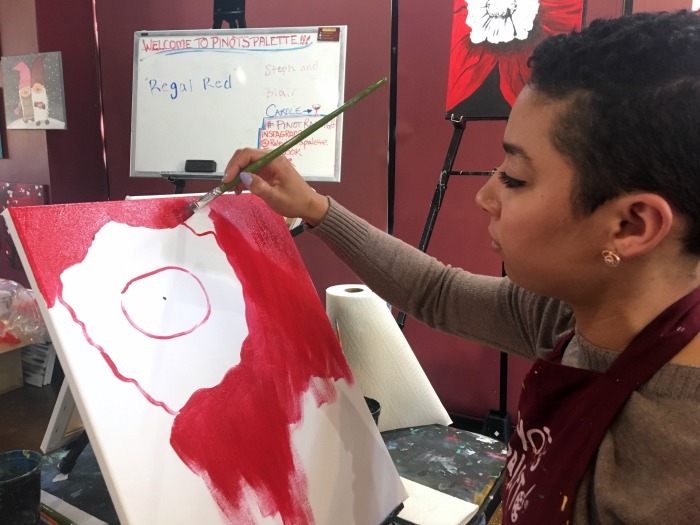 I have done a few of these with my girlfriends and have been wanting to take my kids to a kid-friendly painting session. It’s so relaxing and fun!!! WOW, you are talented. What a fun way to enjoy the night. Painting is a great way to express your self. Glad you enjoyed your time with your mom and so sorry you are going through this. I’ve been in a funky mood for the last three weeks, but I’m hoping it’s winter blues. Awwww how fun!!!! 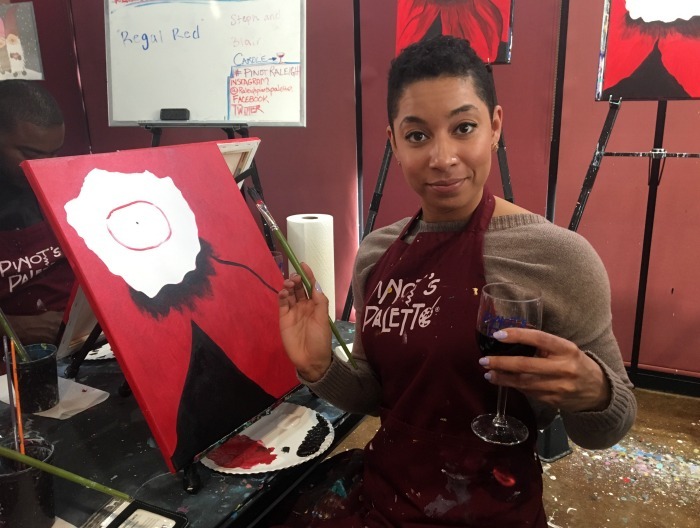 I’ve always wanted to do one of these wine Paint nights! I see them all over social media and they look like a total blast! I haven’t tried one of the painting places, but it’s on my list of things to do SOON! 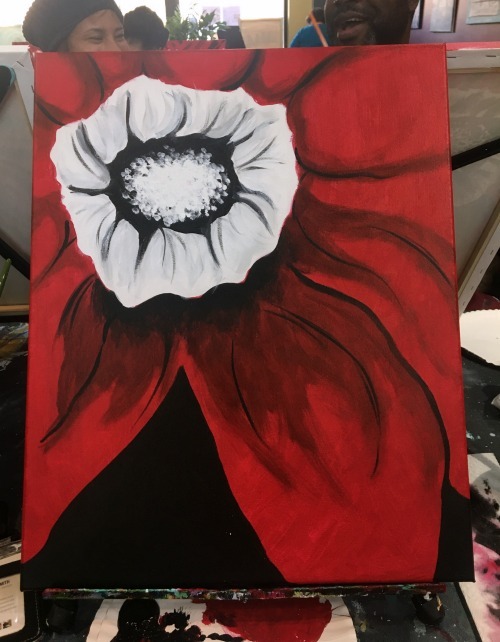 Your painting is gorgeous and I’m sure it was a fun evening with your mom! I love those types of painting places. I am awful at painting, but when I go, my painting ends up looking pretty good. I am so bad at painting and anything artsy like that. I think the teacher would have paid me to go home…LOL. I see you are smiling so I I believe that you feel a little better after that activity. How fun! I have a few students that work for Pinots Palette. They seem to enjoy it a lot. I love that you can get a painting done in one night. I’ve wanted to go this with my girlfriends for a while now. I’ll have to find something like this in my area.